Today's Wordy Wednesday is a little chat with Dave Hutchinson, author of several novels about..well Let's ask Dave to tell us more; what are your latest books about Dave? What about you Dave? Tell us something about yourself. I was born in Sheffield in 1960 and did American Studies at the University of Nottingham, and I now live in London. I’ve been writing since I was about sixteen, pretty much exclusively science fiction, with some odds and ends of fantasy. I’ve published six collections of short stories and four novels and I’ve edited a couple of anthologies. I worked as a journalist on Fleet Street for about twenty-five years, but I was made redundant in 2010 and I’m now writing full-time, although if anyone wants to put any copy-editing work my way as well, I wouldn’t turn it down. I usually date that to my mother buying me a typewriter on my sixteenth birthday, but I’d been scribbling stuff in notebooks for a few years before that. These days it’s tough to raise a smile about anything, but cats will always make me smile. Really awful puns. The company of close friends. Yes, we have a cat, who is very sweet and gentle but possibly the dimmest cat ever to walk the face of the earth. Our previous cats, who were all Persians, were Machiavellis in comparison. He mostly neither helps nor hinders the writing process, unless he decides he needs to be chased around for a while. This is always a tough one to answer. I’m not sure I can point to a single author and say, “They’re my favourite.” I’m very fond of espionage fiction – Len Deighton and John le Carre have been big influences. 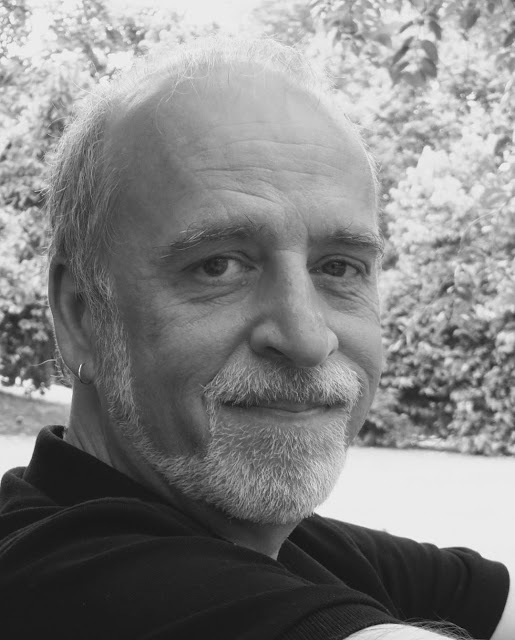 There’s a fabulous American writer named Alan Furst, who has been a huge influence. And then there’s the guv’nor, Raymond Chandler. In terms of science fiction, the British writer Keith Roberts had a seismic effect on me when I was just setting out with my own stuff; his work fundamentally changed the way I wrote and the things I wrote about. As a benchmark, a bar to clear, I hope one day I manage to write something half as good as Chris Priest’s The Prestige, which I still think is a monumental work. For the second year in a row, I’m one of the judges of the Crime Writers’ Association’s John Creasey Debut Dagger Award, for first-time crime writers. So I’m slowly climbing a tottering pile of debut crime novels. Ooh how exciting! Good luck, I can't imagine how hard it is to judge writing. At the moment, in our spare bedroom, but in the past I’ve done a lot of writing in libraries, and if I may be allowed to bang a drum for a second, libraries are a massive resource, not just for borrowing books, and we lose them at our peril. I’m very fond of Rudi, the central character of the Europe books. He’s an Estonian chef who works in a restaurant in Krakow. He’s basically quiet and unassuming and doesn’t want any trouble, but the world gets upended around him and he finds himself fighting unseen forces. And he never gives up, even when he doesn’t understand what’s going on. He just keeps plodding along, head down, shoulders against the wind. I like that about him. He’s basically the little voice in my head, and it’s been quite a surprise to discover that other people like him too. Dark chocolate Kit-Kat. Food of the Gods. Haha! I have no idea; whoever it is it’ll have to be somebody that looks really tired all the time. 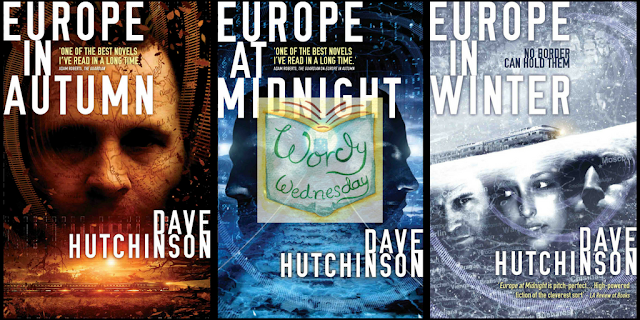 Thanks to Dave for answering my ridiculous questions - go and investigate his books, and why not check your library too? Maybe nag them to get a few extra copies!